Woodworking planes are merely sharp chisels firmly restrained at a prescribed pitch in a body that can be gripped in a craftsman’s hands. Most are used in a linear motion, sometimes at a skew. There is a type of traditional tool equipped with one or two cutters that rotates around a central axis, that being a hollow auger that cuts a round tenon on the end of a workpiece. Several years ago I acquired a hollow auger made from an actual skewed rabbet plane. 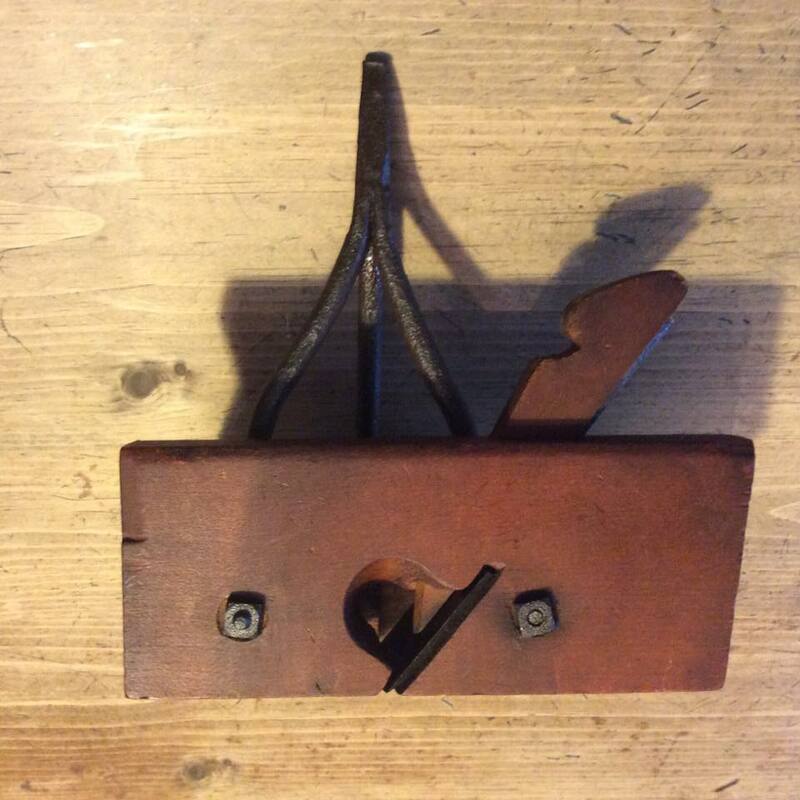 It is the only such tool I have ever seen and I examine it often and marvel at the ingenuity of some past craftsman who was skilled in both woodworking and iron forging. That person in the past had the need for a hollow auger and had the knowledge, skills, and abilities to create one. The tool was created by attaching an actual rabbet plane to a piece of scrap wood and forging a trifurcated tang so it could be used in the rotary motion of a brace. The plane is secured to the body with two carriage bolts. The ends of the rods are driven into the body. 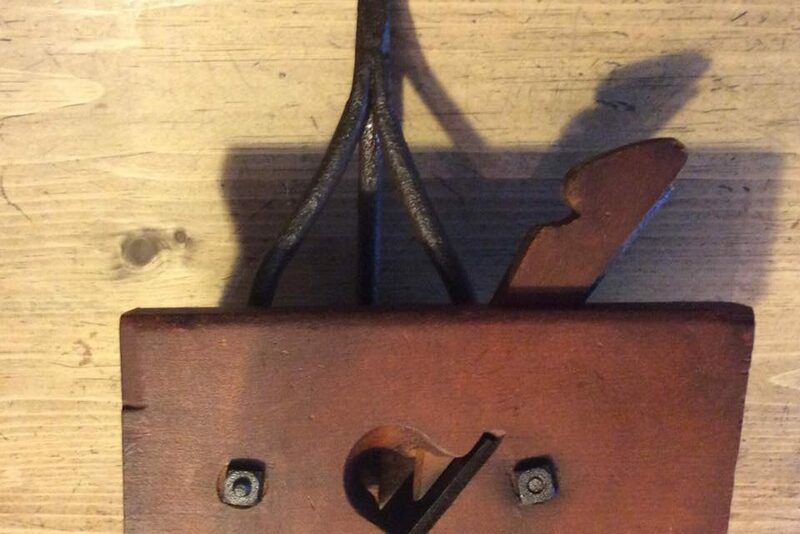 In this photo you can see the heads of the two bolts and the iron rods forge welded at the top to make a square tapered tang for use in a brace. This is the bottom of the plane in which there is a hole that is 1/2 inch in diameter, the size of the round tenon this tool cuts. This is a top view of the hollow auger showing the configuration of the iron rods in the body and the attached rabbet plane. This is the mouth of the rabbet plane showing the skewed blade that slightly enters the side of the hole. This is a front view of the plane. It does not bear a maker’s mark although it was was manufactured.